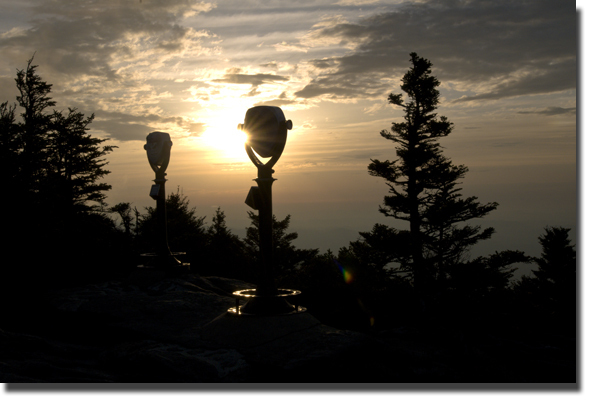 I probably shouldn't post this because it is an out take of my photo session on Grandfather Mountain today. I went location scouting to see what was doing what where. I found the Rhodos are almost peak, but not quite yet on top of the mountain. I suspect the same may be true for the blooms on Roan Mountain. Regardless, I have been heavily experimenting with off-camera flash via Pocket Wizards in outdoor situations. I've suffered many fail whales, but have had a few successes. For example, my husband's photo on the Viaduct yesterday was nothing more than a carefully metered flash explosion combined with ambient light reading. I messed a tiny bit with some tonal contrast, but the effect is mostly an in camera fill-flash effect. And, for the first time in forever, he behaved and took my direction. Thank you husband, Troy and David LaChapelle. In any case, my blog is me; a work in progress. 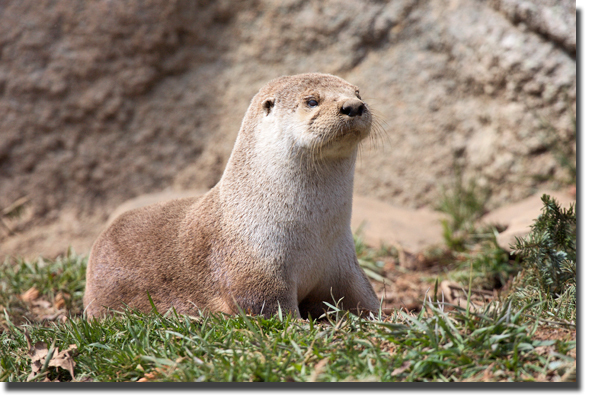 I don't have a fantastic view of a wild otter in my small backyard pond like Amy in New Hampshire but the River Otters on Grandfather Mountain aren't too far away from my Valle Crucis home to get a taste of the tamer mammals. There is a huge size difference between Amy's otter and the one shown here. I'm not an otter expert.